An upcoming webinar from METTLER TOLEDO will teach participants about common applications found within life science research and provide a sneak peek at their new UV/VIS technology. Tips and hints will be supplied throughout, as well as a sneak peek at METTLER TOLEDO's new UV/VIS Excellence instruments. UV/VIS spectroscopy is a widely used and simple technique for a broad range of applications, specifically within life science research. 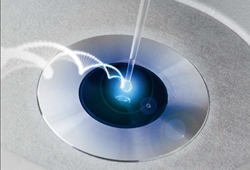 With this technique, small volumes of samples can be used without dilutions to determine not only the concentration of nucleic acids, but also their purity, as well as indirect measurements of biomolecules with dyes and even optical density. During this 60 minute webinar, participants will learn about the typical applications found within life science research, such as the quantitative and qualitative analysis of biomolecules along with specific examples. Tips and hints will be supplied throughout, as well as a sneak peek at METTLER TOLEDO's new UV/VIS Excellence instruments. This webinar will be hosted on April 21st at 10:00 AM. Register for this live webinar here. METTLER TOLEDO is a leading global manufacturer of precision instruments. The Company is the world’s largest manufacturer and marketer of weighing instruments for use in laboratory, industrial and food retailing applications. The Company also holds top-three market positions in several related analytical instruments markets and is a leading provider of automated chemistry systems used in drug and chemical compound discovery and development.